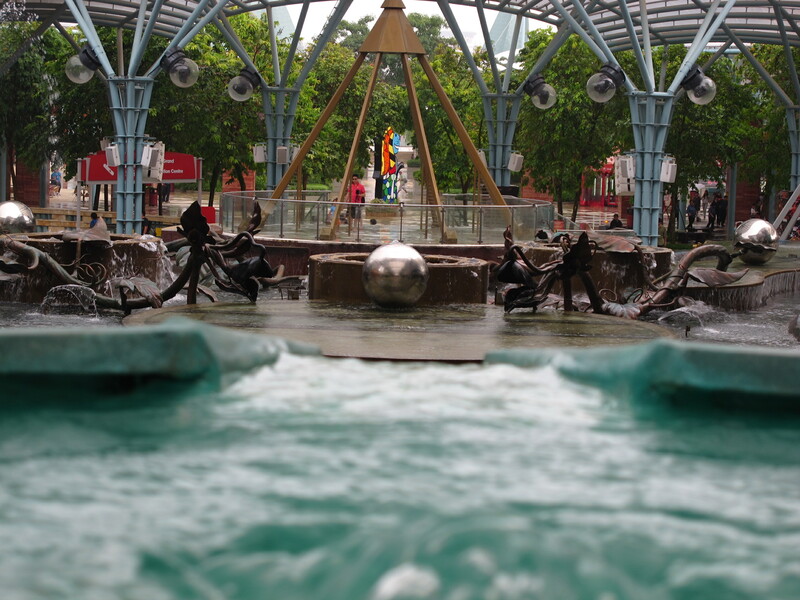 I've had a few posts related to my trip to Sentosa Island in Singapore namely This is My Summer, Summer!, and After the rain. Well, those are due to my excitement. I'll share a proper story of that day this time. 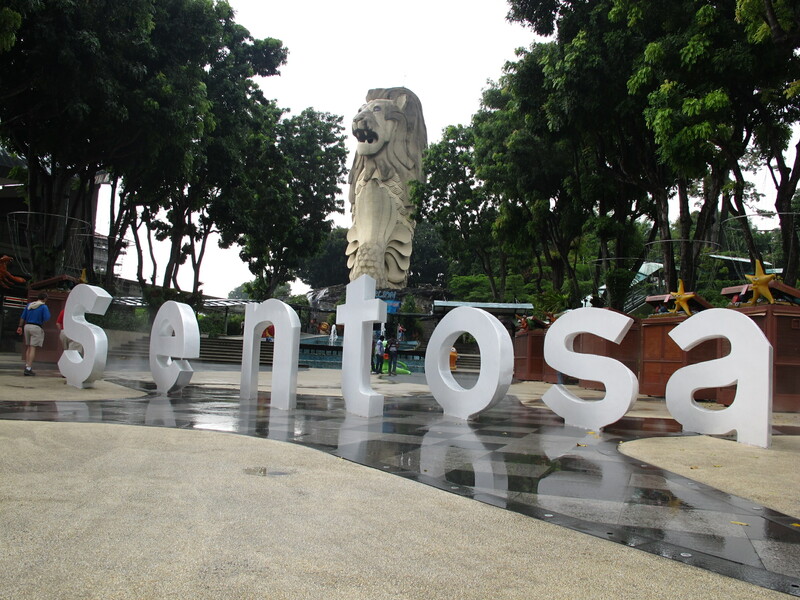 It was a hot, sunny Friday, 30 March, when I decided to go to Sentosa. I told myself that I wouldn't get this chance again if I did not go today. I would also just waste my two days off without doing something nice for at least one day. So, off I go. I like taking the bus every time I am going somewhere. 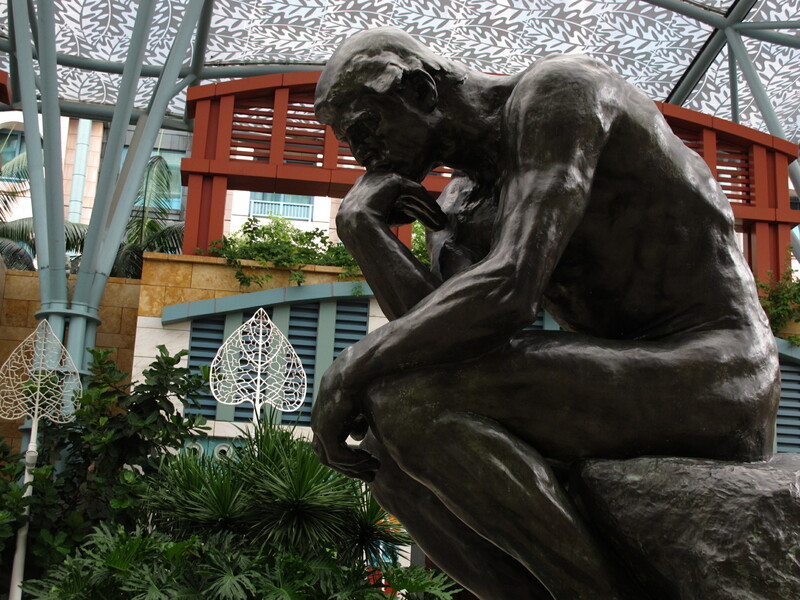 I can see a different side of Singapore every time and I can familiarize myself with a new place. That helps me when I feel like I am lost. 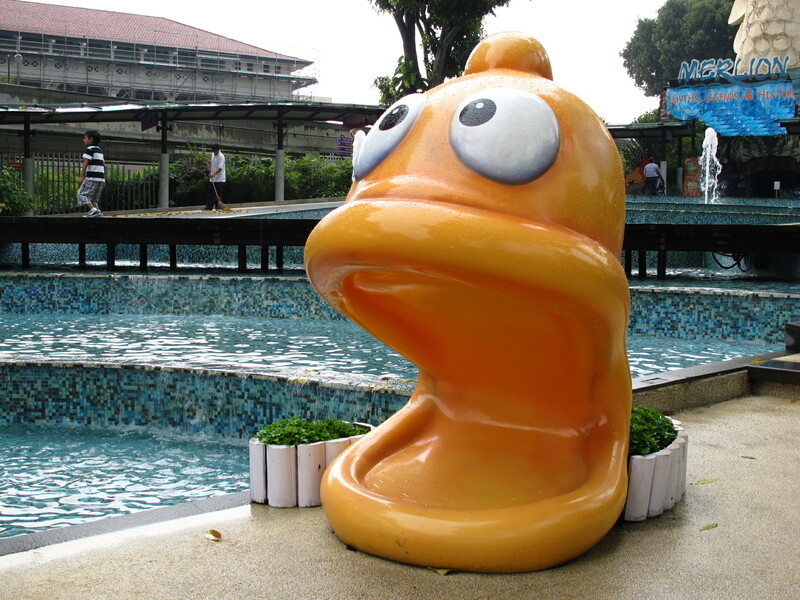 The bus ride from my place to Sentosa Island is 1 hour. 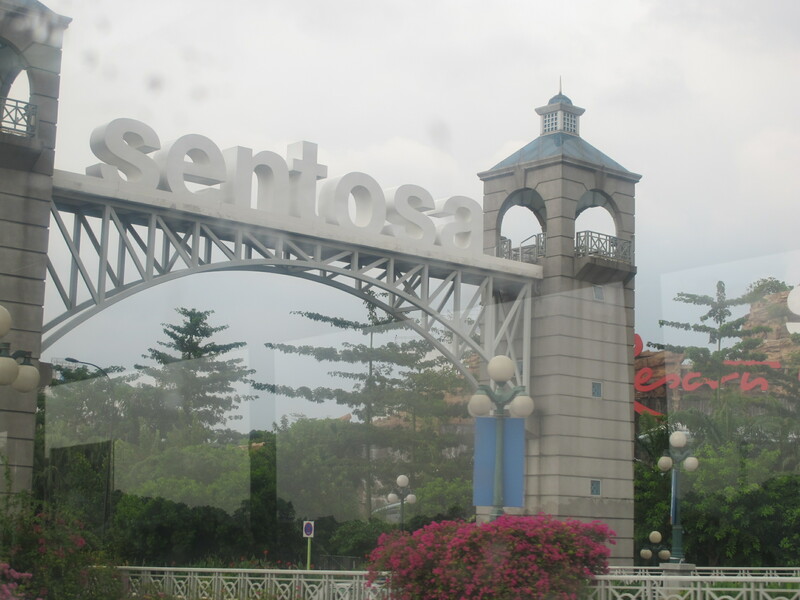 I took Bus 963 from Bukit Panjang, alight at Before Seah Im road bus Stop, and take another bus - RWS8 - to enter Sentosa Island. Can you Imagine that the forty bus stops from Bukit Panjang to Seah Im Road is only about $1.66 and a bus stop away to Sentosa Island costs $2.00 (this is a flat rate). 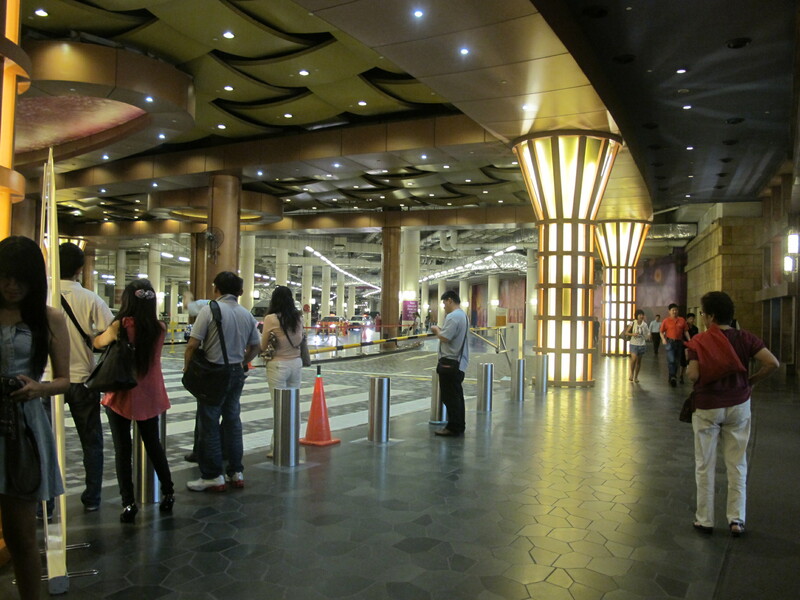 Well, that is cheaper compared to taking the Cable Train at Vivo City, which costs $3.00 (in year 2010!). 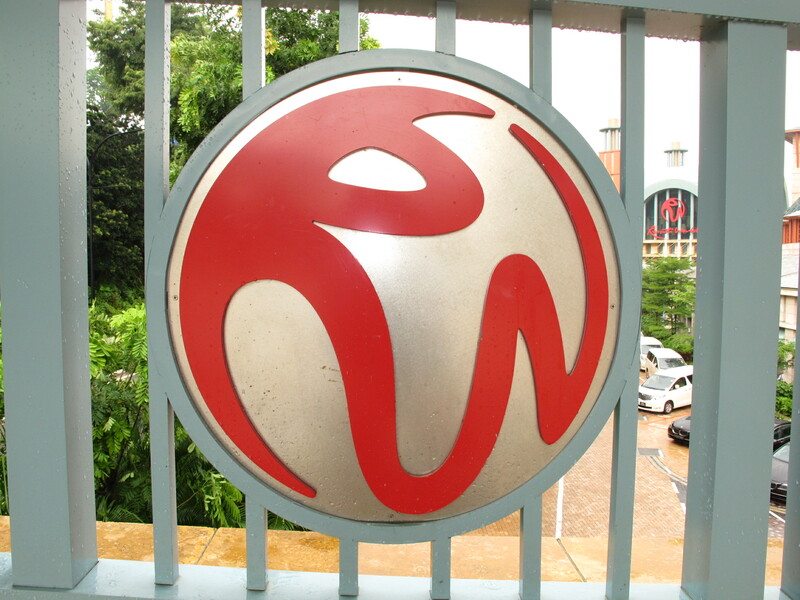 The bus takes you directly to the basement of Resorts World, probably why it's named RWS8. So when I get there, it was raining really hard. I really wished I did not go instead. 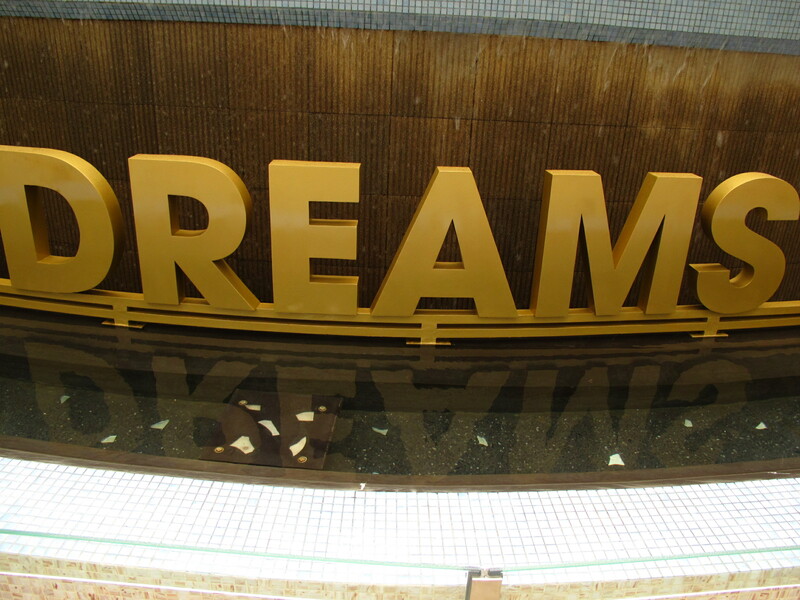 I think I spent another hour taking pictures of fountain and other displays in Resorts World. When the heavy rain turn into drizzle, I saw my chance to make a move. I reached Imbiah Look-out, just next to Resorts World. I wanted to get on top of Merlion so I figured I should go up. 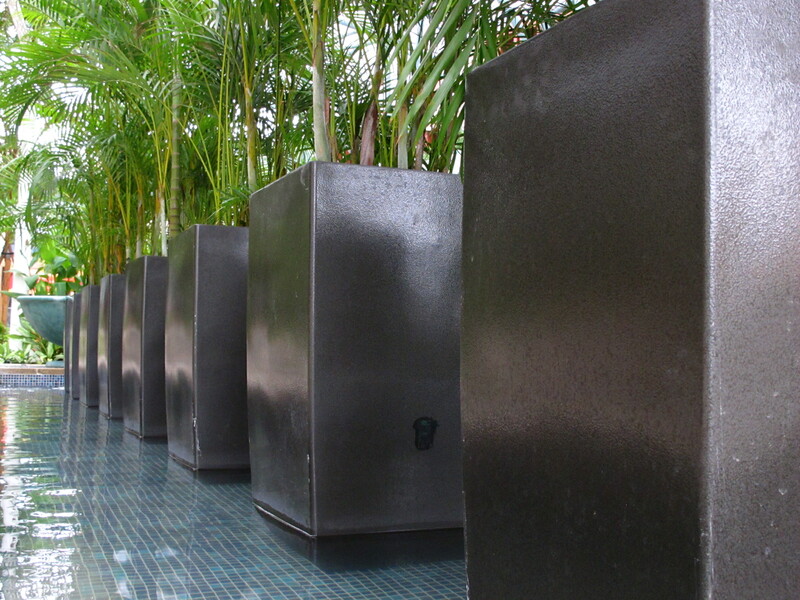 I went to a garden-like stairs, or rather, walkway. The flowers, refreshed by the rain, caught my eyes. 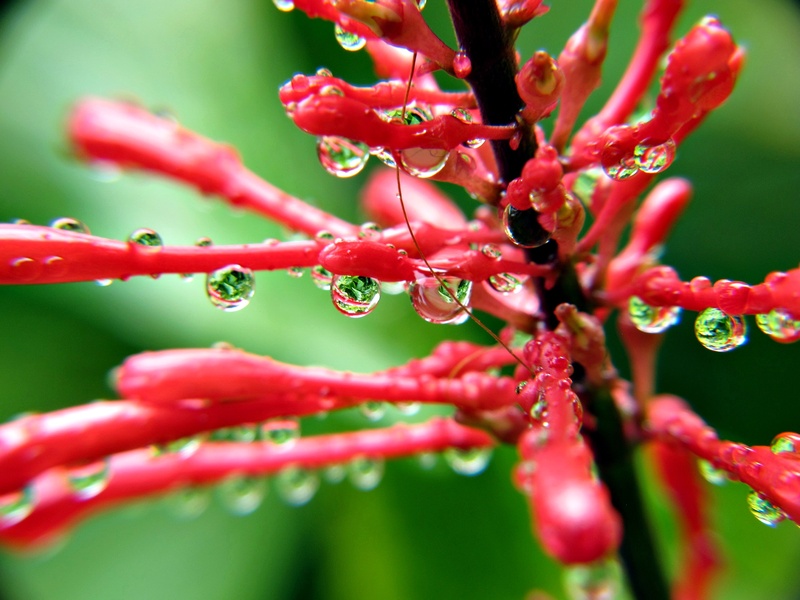 So I tried doing macro photography with the flowers and water droplets. I put on my lens converter and macro lens for it. I get fantastic results! I am happy and satisfied. I'm even thankful that it rained. I think I spent another hour doing that. 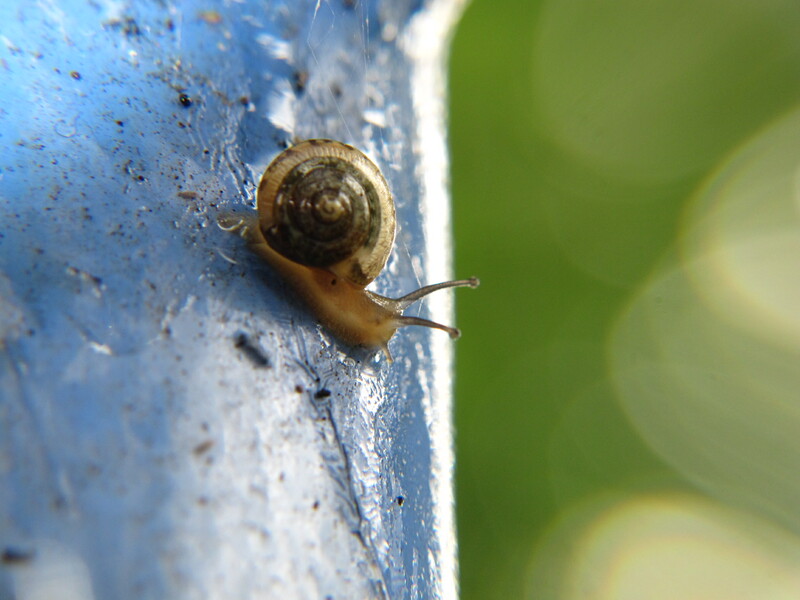 I also found a small snail at one spot. It's cute! After going up, I only found a dead-end so I went down again. 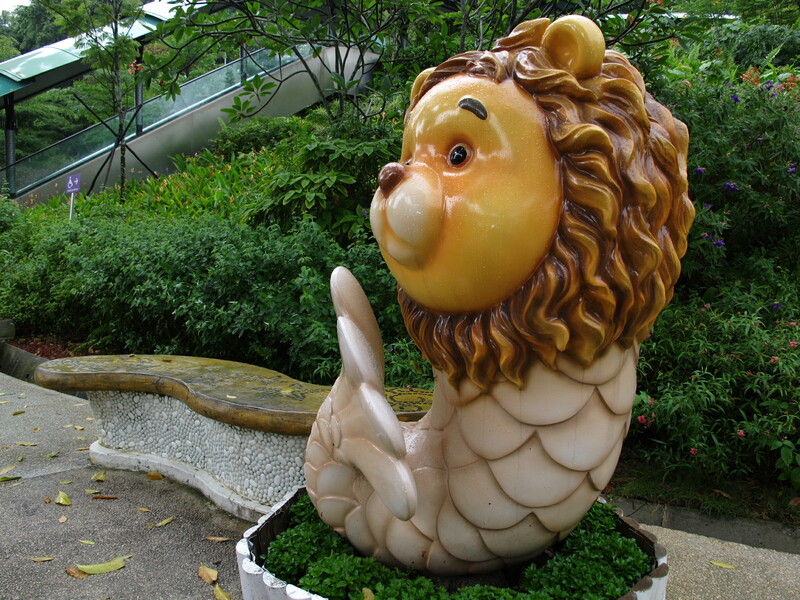 I can't find a way to go up in the Merlion even after going down. 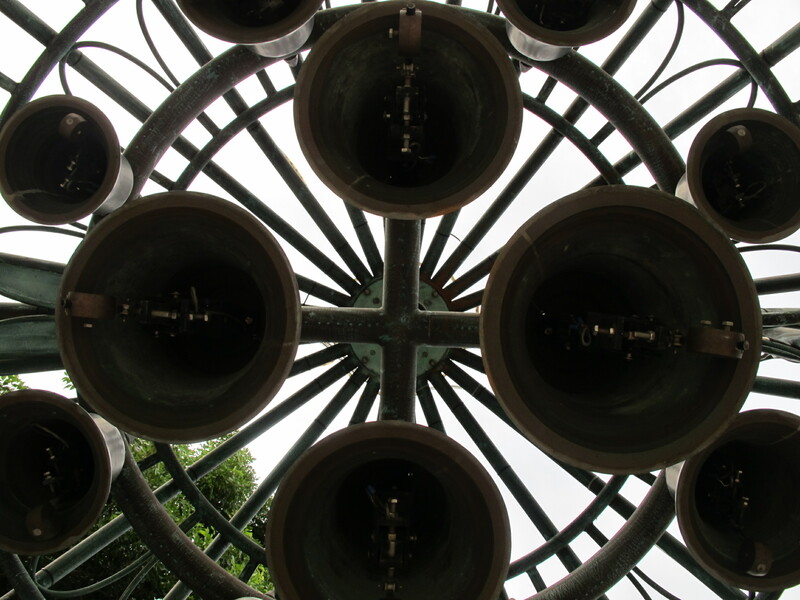 I thought that probably it was closed to visitors now. I gave up and tried to figure my way to go to the beach. I tried to look for a map first. But I don't know how to get there by walking so I went there by the Cable Train. 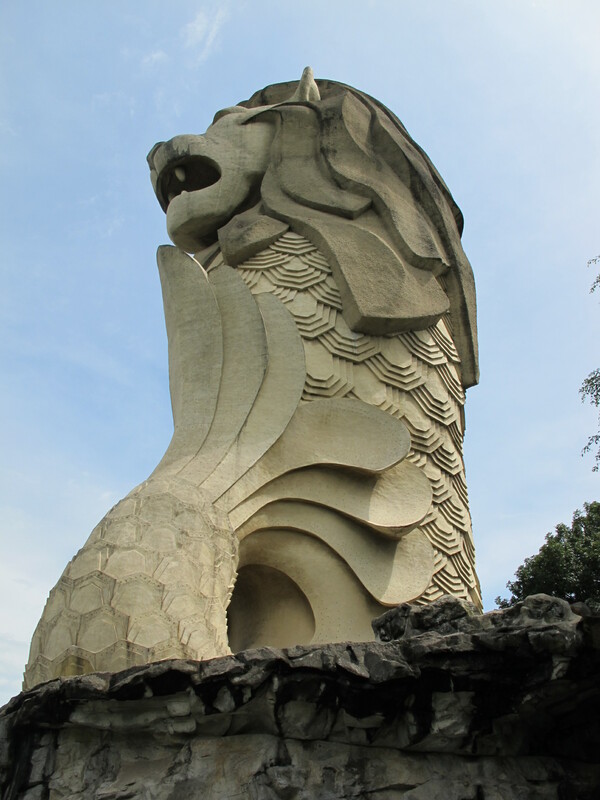 The Merlion Park and Imbiah Look-Out is really like a maze to me. I just don't know how to get out of there, though. 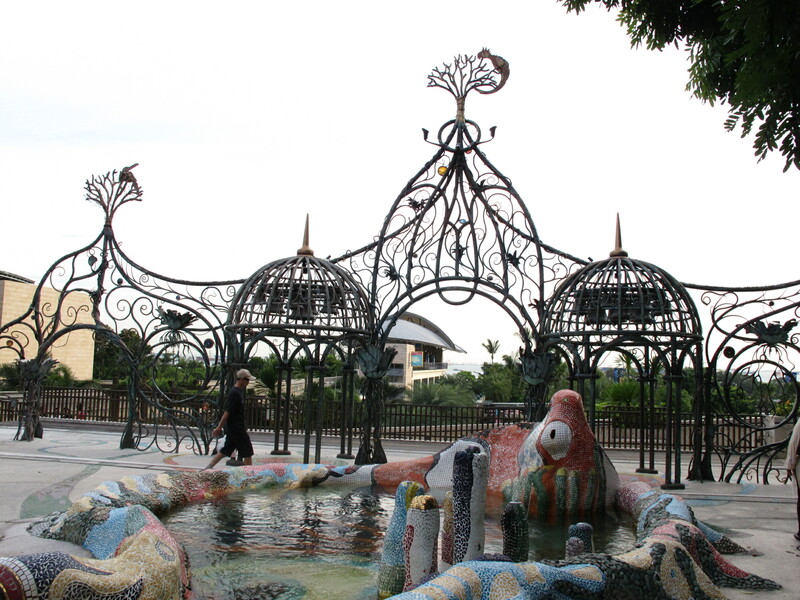 While on the Cable Train going to Beach Station, I saw the colorful fountain that was designed after the sea corals. I missed that! That is actually the way to the beach station. Well, I decided to go there after strolling in the beach. So I reached the Beach station by riding the Cable Train. The thing is, I still don't know how to get to where. 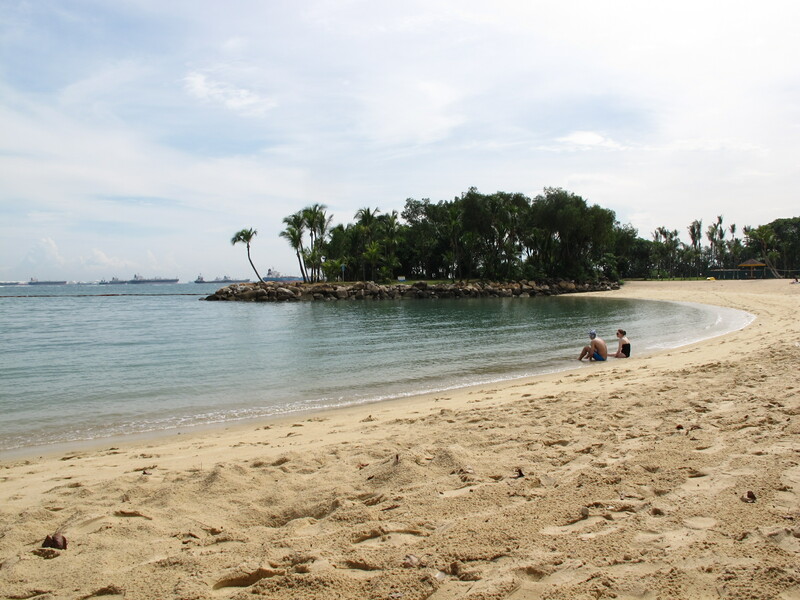 I want to go to Palawan Beach first then to Siloso Beach. 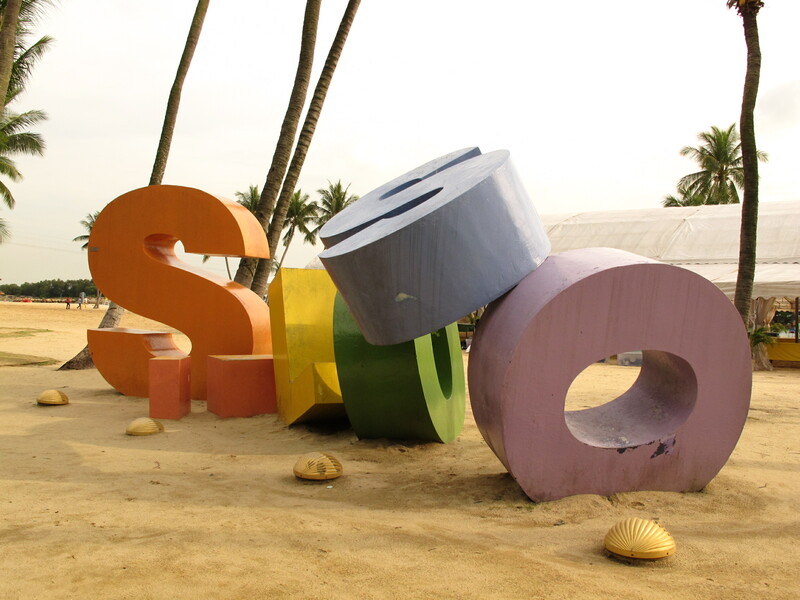 I've been to Siloso Beach before so I kind of know the area. 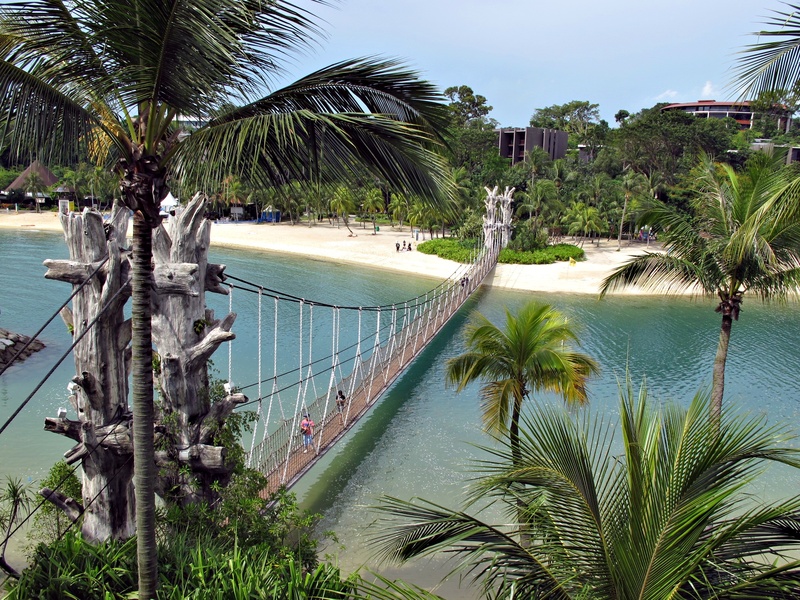 But, this will be my first time going to Palawan Beach.It's actually the favorite part of Sentosa of my friend so I want to see it too. 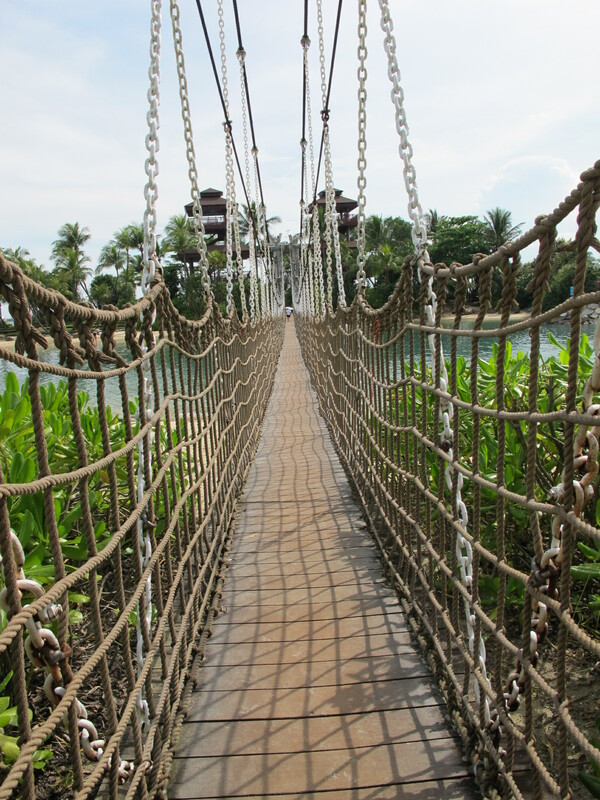 I started my way to Palawan Beach. 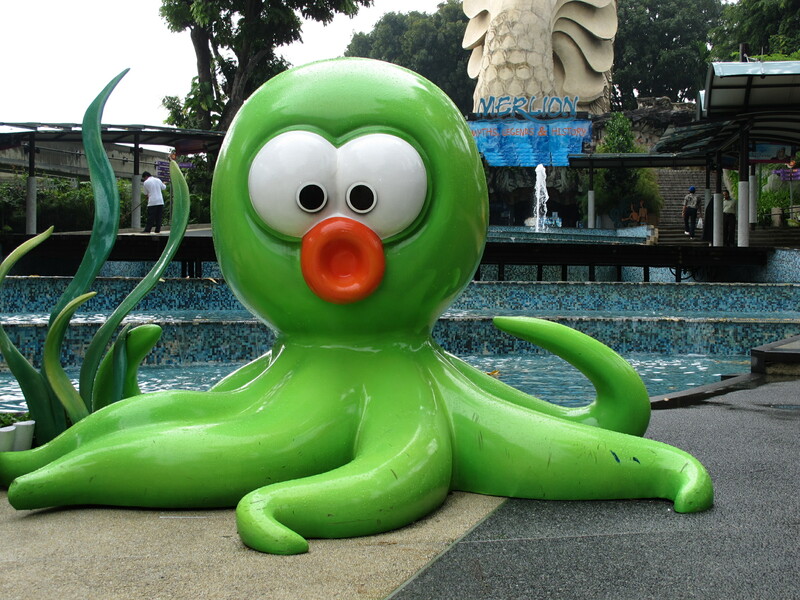 I tried using my Ovimaps but it isn't working on Sentosa. It's probably because it's just an attraction as it is. After walking beside the road for about twenty minutes, I finally see a way to the beach. At last! 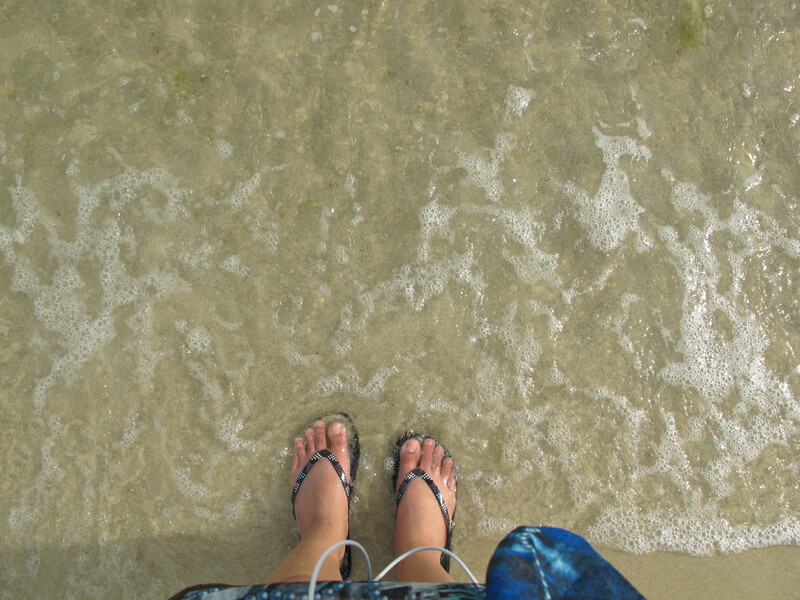 I reached Palawan Beach. It's wan't that big of a beach of course. But I think it's better than Siloso. There's two connecting watch towers in an islet, which is connected to Sentosa Island proper by a hanging (?) bridge. It's a small, long bridge. You cannot cross it in two lanes and that's how small it is. 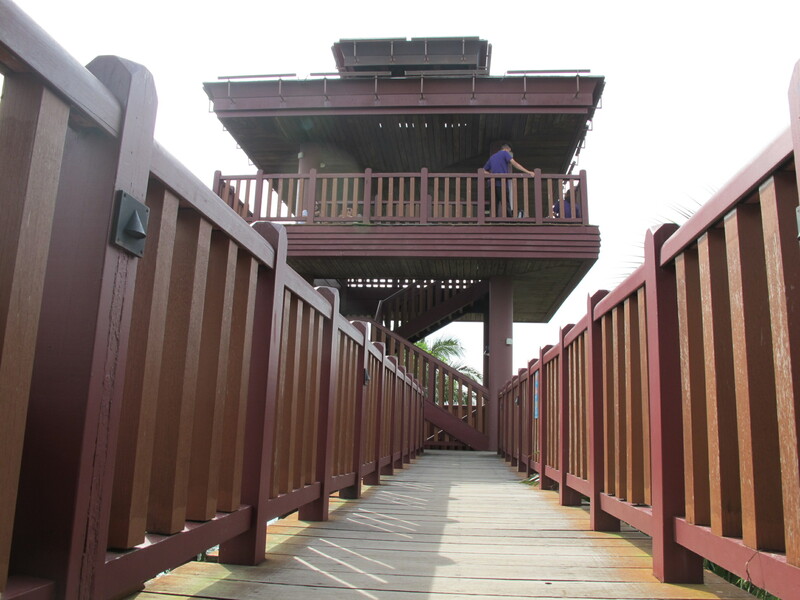 From the left side watch tower, I saw the Sister Islands that I wanted to go to. Then, I went around the islet for a short while. 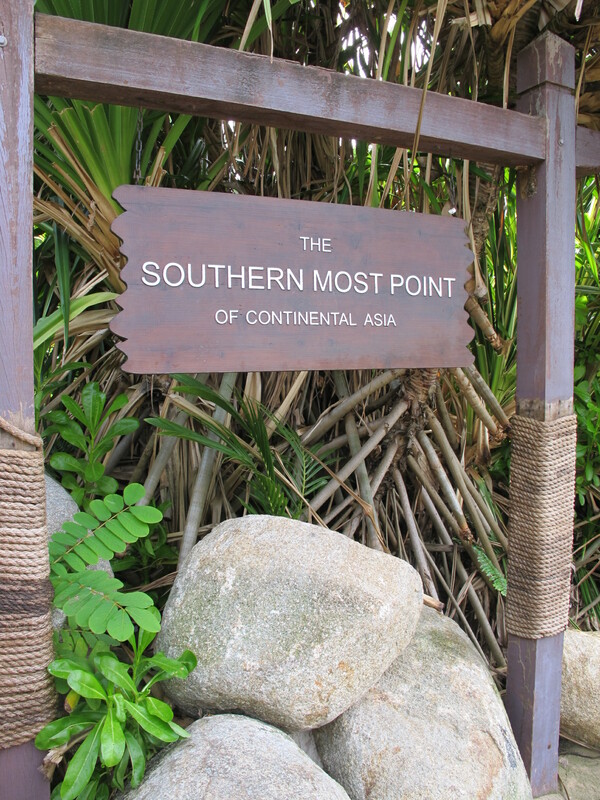 I saw a sign stating 'The Southernmost Point of Continental Asia'. There were a few more islands south of Sentosa, but are they not in the south part? I wondered about that for a short while but never really bothered myself about it. 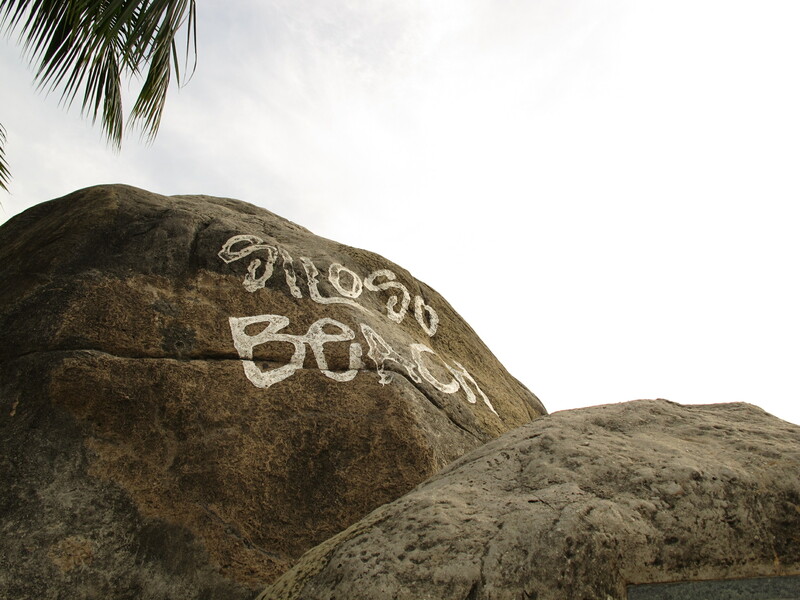 I went to Siloso Beach afterwards. There were more people there. All of them doing different things. Some are sunbathing. Some are reading books. Others are playing sports and doing other physical activities. There were also lovers taking their time. 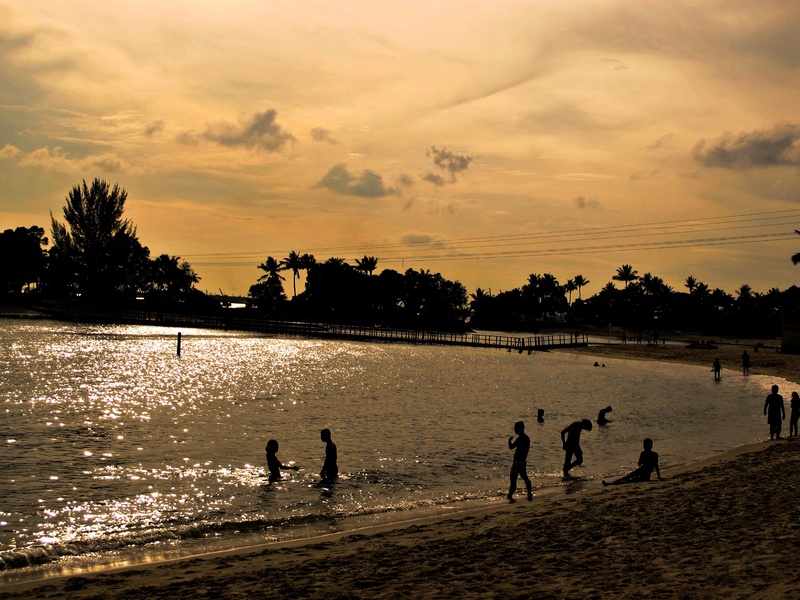 There were kids playing in shallow waters, too. 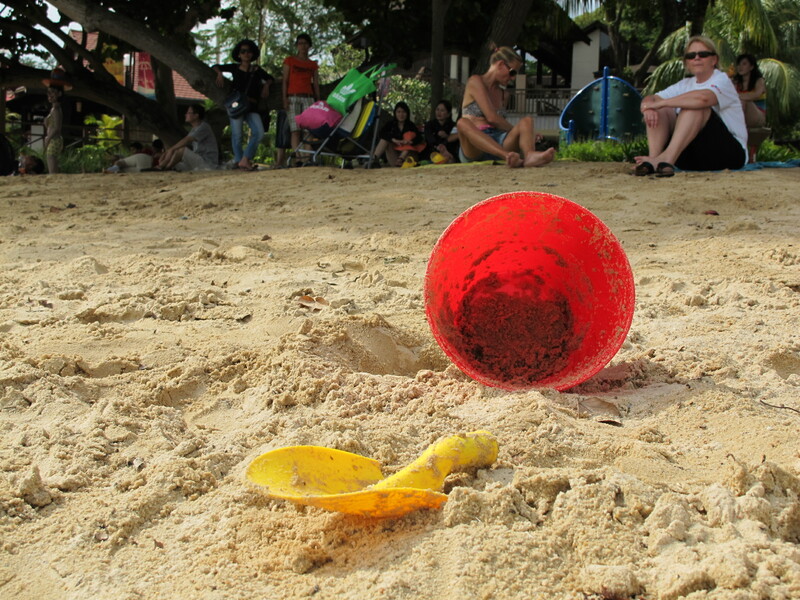 I saw all kinds of things you can do in the beach. Summer is really on. I wore a blue printed sleeveless blouse that gives me a feeling of the beach, a pair of shorts and black slippers. I could have fitted in the beach atmosphere if only I wasn't bringing a backpack and a camera bag. I saw an adult lady looking at me and smiled at me. I smiled back. I thought that she was a Filipina, and that I'm not here for swimming. I know that I don't look like I'm going for a dive. 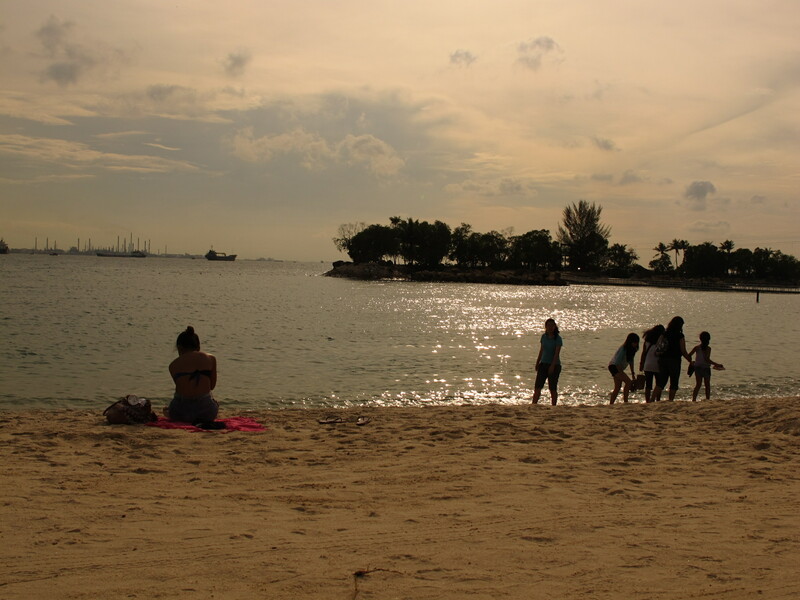 My sole purpose of coming to Sentosa Island is a photo of sunset in the beach. 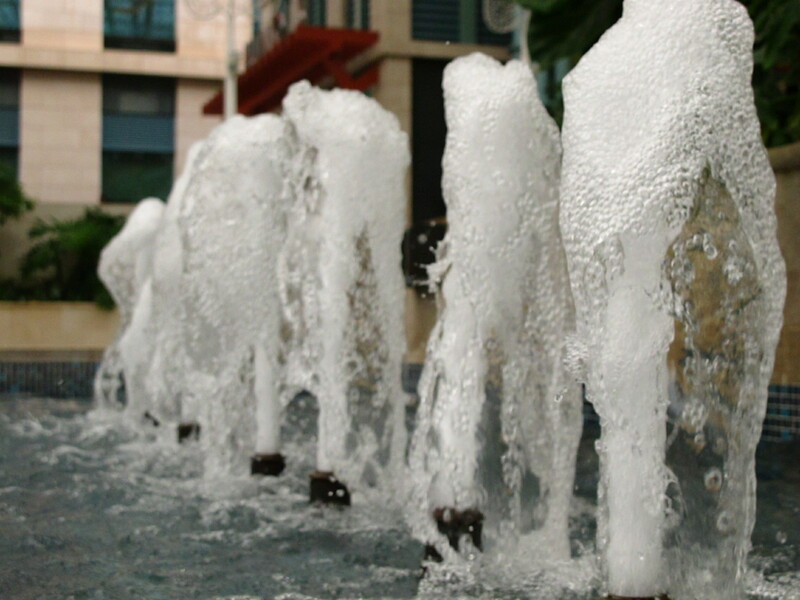 I enjoyed the accidental water droplet photos too. 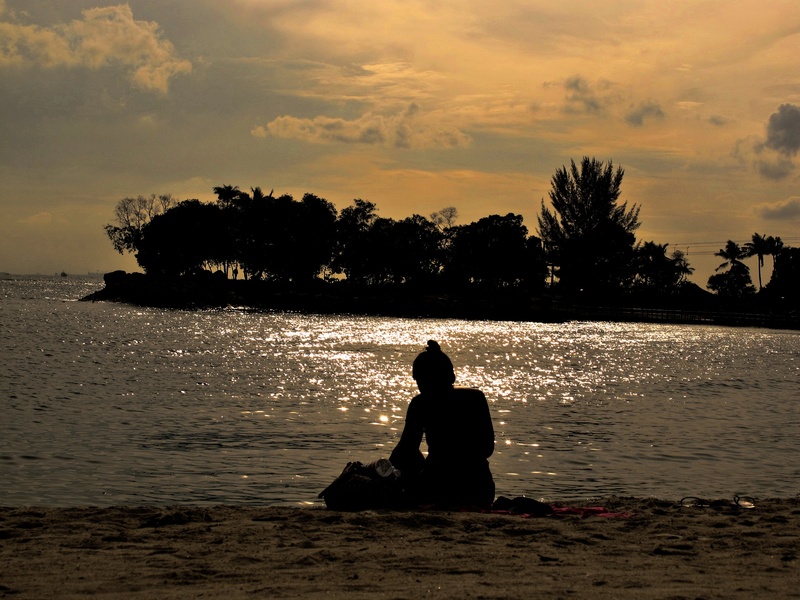 I take my time in Siloso Beach and waited for the sun to set slowly. 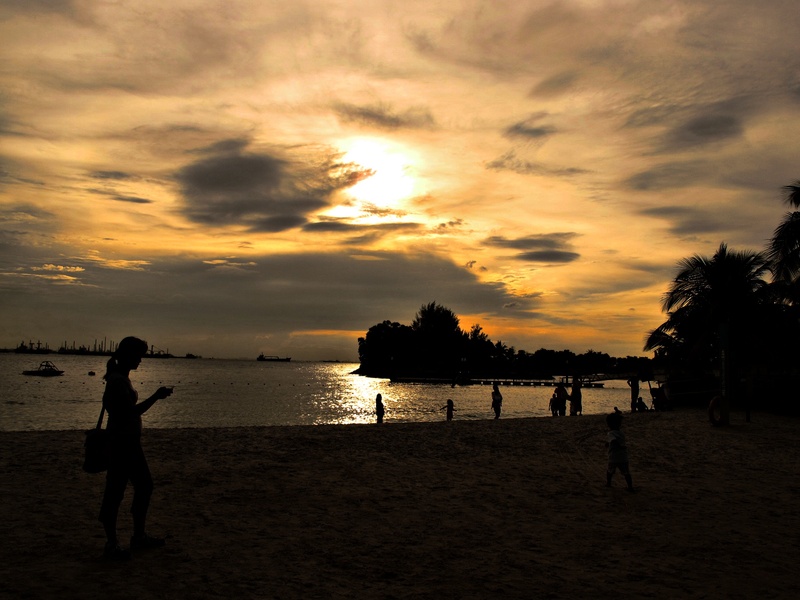 Sunset is around 1900hrs now in Singapore due to summer. I got tired of waiting. I got good photos so I did not really wait for the peak of sunset that is nearing dusk. I tried to do silhouette photography of people, but I did not get it correctly. I got good subjects, without them knowing. I might just edit them and make them look more like silhouettes. 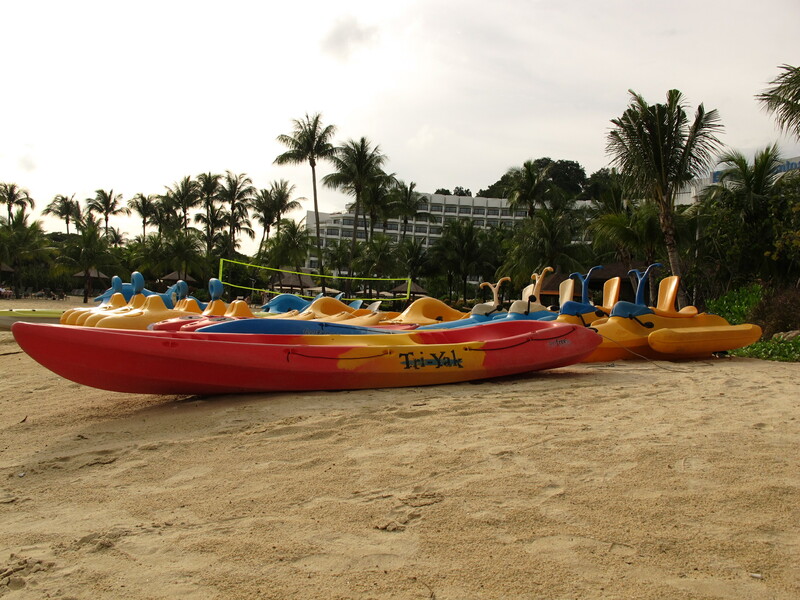 Basically, that's how my Sentosa Island Trip went. 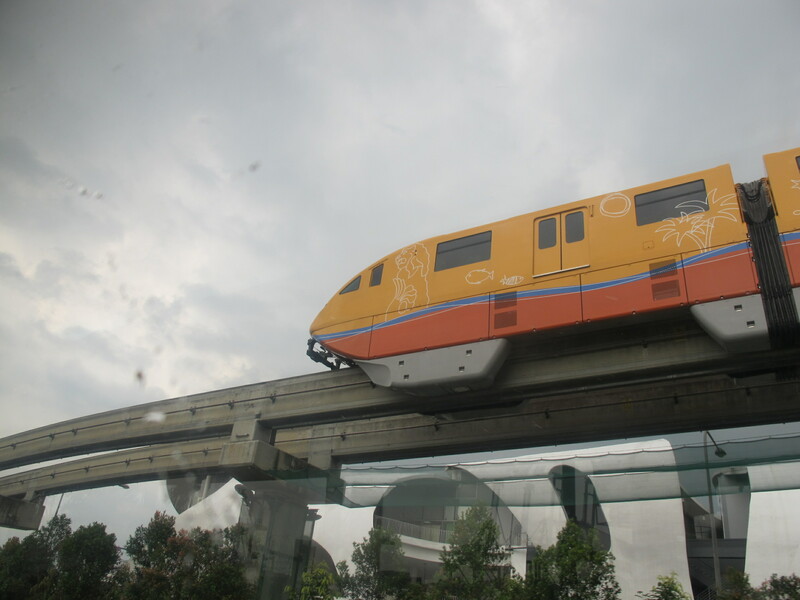 I took the Cable Train back to Vivo City. From there, I tried to figure out where the bus interchange is. I almost gave up but found a signage when I am about to take the MRT. I'm fortunate for finding the interchange. Why? Because by taking the bus 963 I managed to see the Alexandra Arch lighted.I should go there at night but I need to bother someone to go with me. It's scary to be in the middle of nowhere at night, you know. 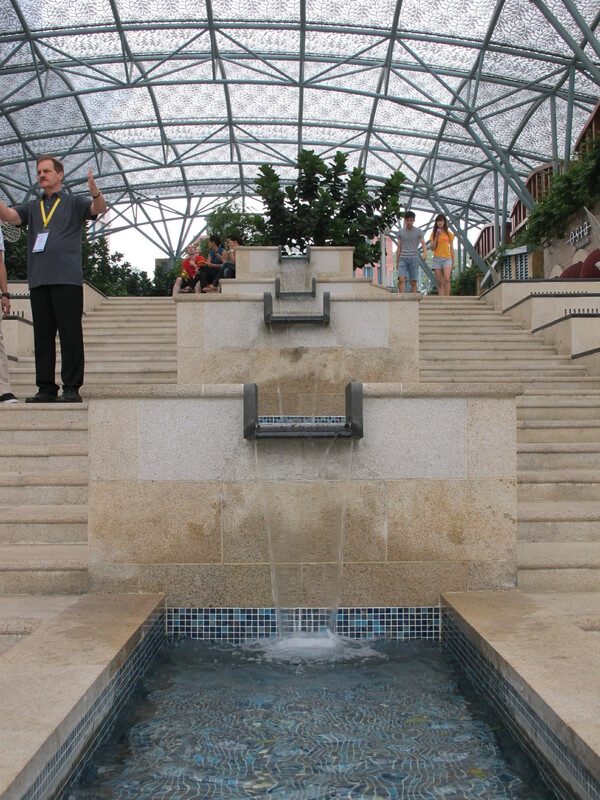 Here are more photos of my Sentosa Island Trip. 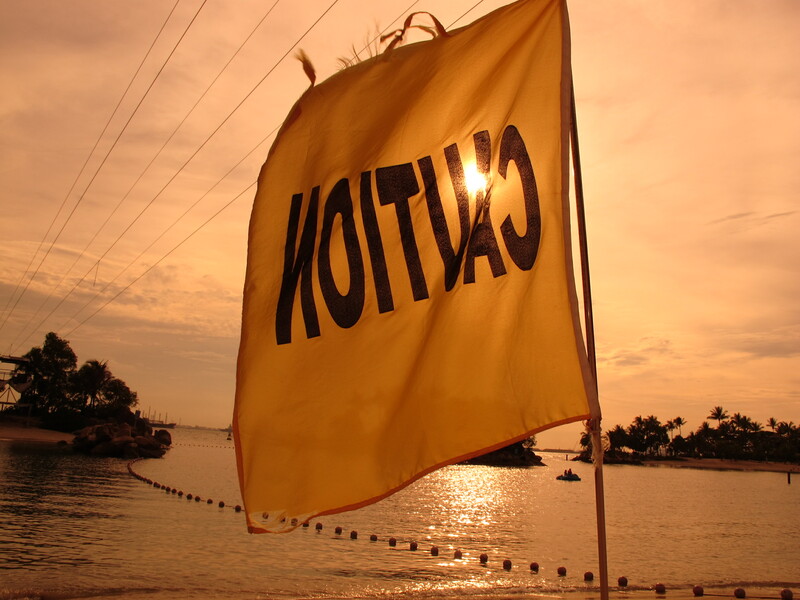 Photos are taken using Canon Powershot G11. 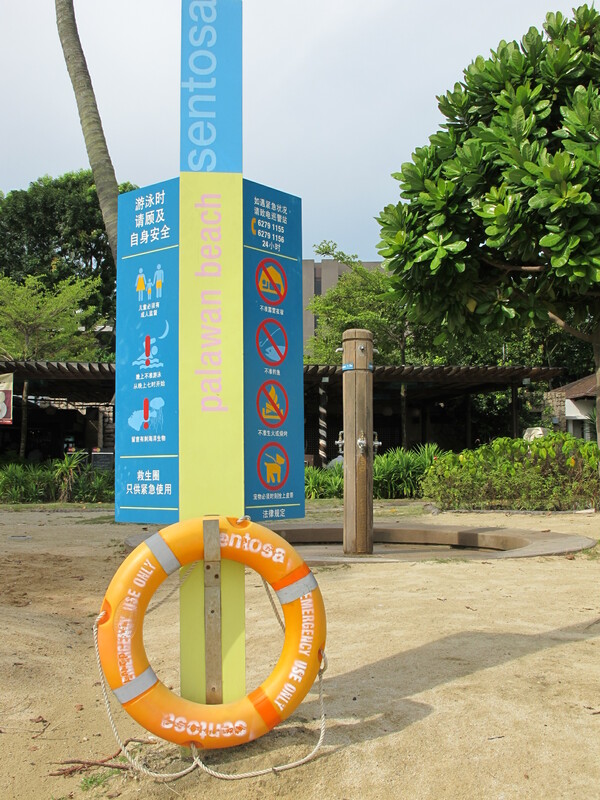 Getting to Sentosa Island is easy. You can either take the Circle Line or Yellow Line, or North-East Line or Purple Line. 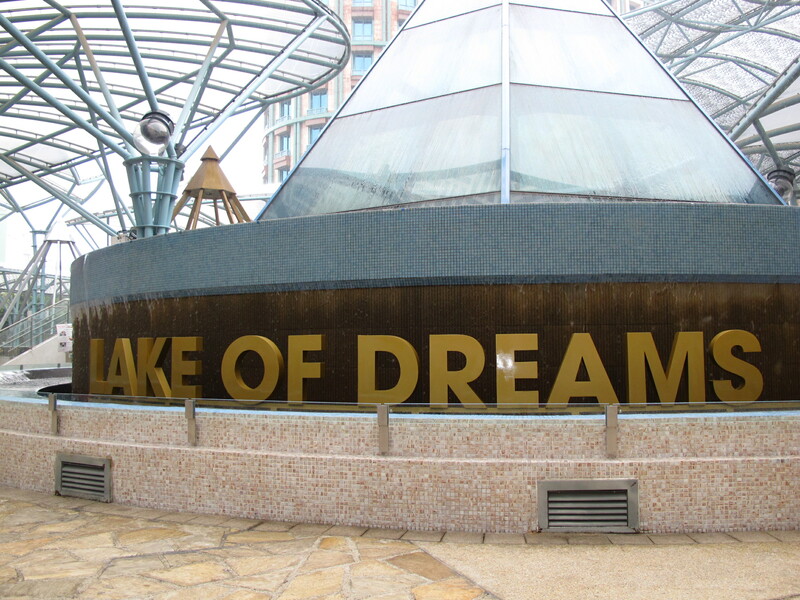 Just alight at Harbourfront Station and look for the sign that will lead you to the rooftop of Vivo City. 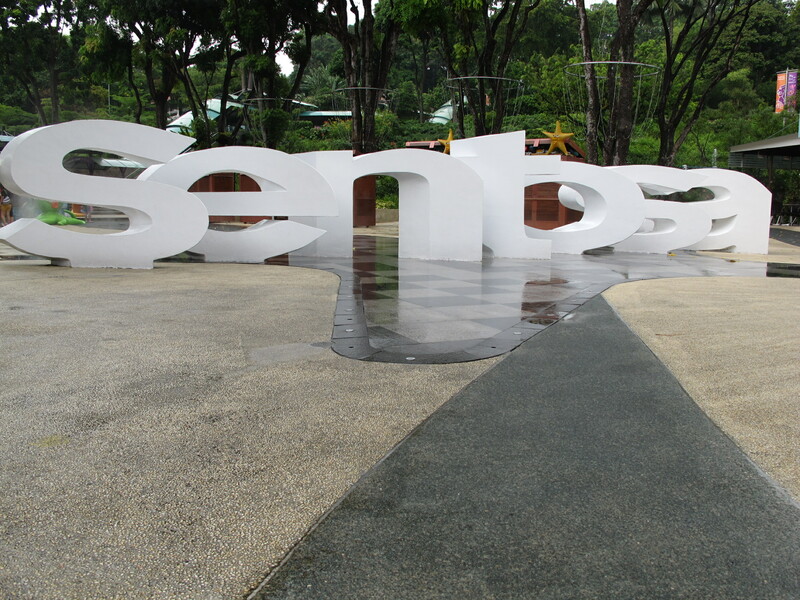 The Cable train going to Sentosa Island was there. I'm not sure how much it would cost you to take the Cable Train though. 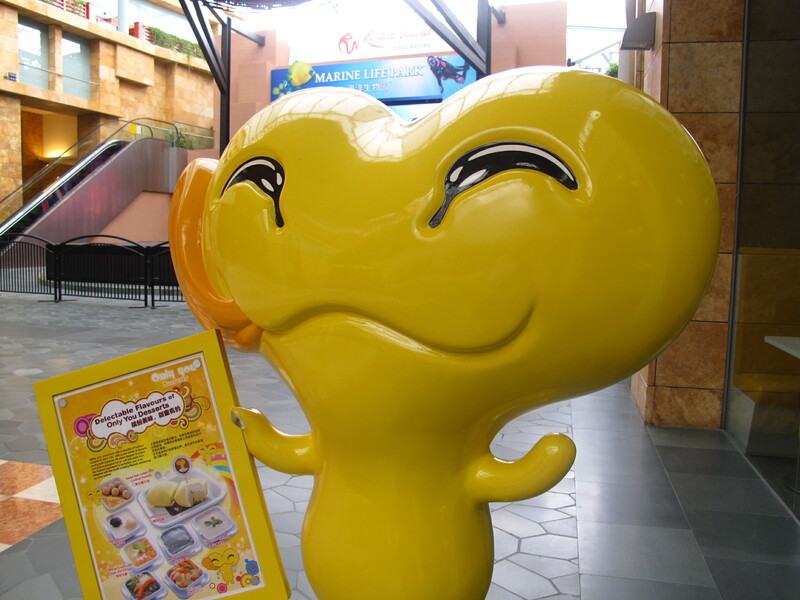 You can also take the bus RWS8 at Before Seah Im Road bus stop. I am anot certain if there were other buses going in to Sentosa Island. It would be easier to take the train so I recommend doing that. 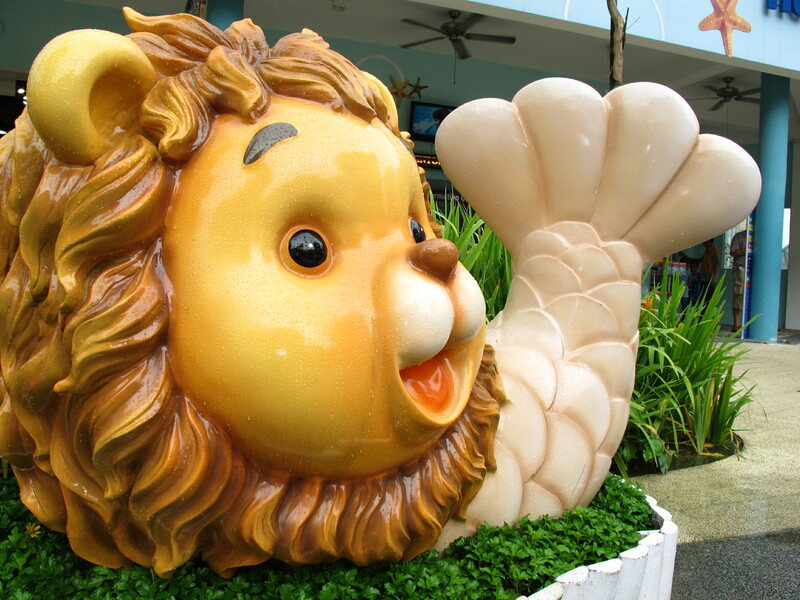 The attractions in the place besides Palawan Beach and Siloso Beach are the Resorts World for Casino and Universal Studios, Luge, Giant Merlion, Songs of the Sea, and other sporty games. 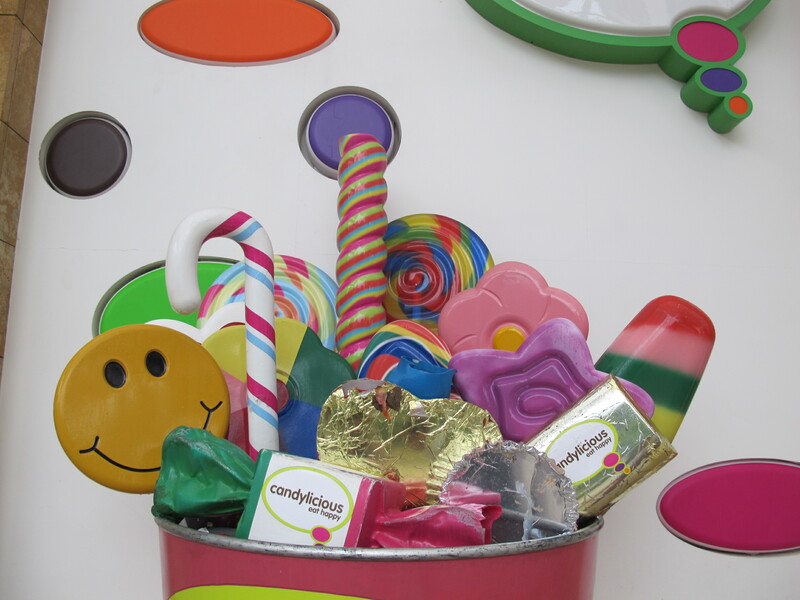 Some parts are still under development so watch out for new attractions in the coming months or years. I recommend the Songs of the Sea because I've watched that before. That was a good water and laser light show.